As the third largest city in Alberta, Red Deer is lush with exciting activities, places to explore and nature to enjoy! If you are new to the area, Ayre & Oxford invites you to explore all this great city has to offer. Red Deer is loaded with great shopping destinations including the Parkland Mall, department stores, and Bower Place, a western themed shopping mall with over 120 shops and services. When looking for the best locally grown fruits and veggies, check out the Market at Red Deer Saturday mornings at the Memorial Centre. Foodies will love dining at high-quality restaurants throughout the city. Visit Red Boar Smokery for mouth-watering brisket, Brown's Socialhouse for homestyle options with a gourmet touch, or elevate your taste buds at renowned steakhouse One Eleven Grill who also has live Jazz music on Friday & Saturday nights. 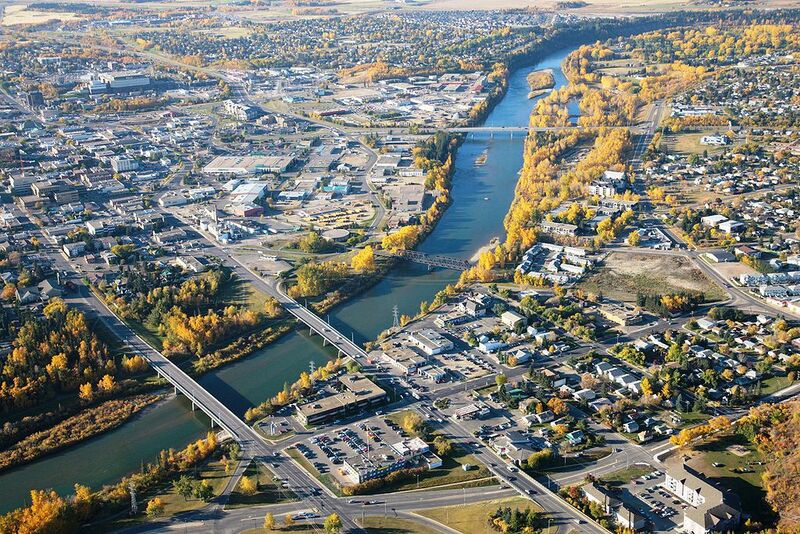 Whatever your tastes, you are sure to find what you are looking for in Red Deer. Staying fit and having fun is easy when you live in Red Deer! There are a variety of drop-in activities available across the city including swimming, fitness, skating, and wall climbing. The Servus Arena, opening Fall 2018, will feature an indoor walking track, warm up areas, skate sharpening, and a heated spectator area. The annual Westerner Days Fair & Exposition is held in July at the ENMAX Centrium centre. Red Deerians can enjoy 5 days of live entertainment, rides, a rodeo, pony chuckwagon racing, and so much more! Other exciting attractions include art galleries, museums, historical centres, and the Alberta Sports Hall of Fame. If you are looking for a wild time head to the Discovery Wildlife Park, a 90-acre zoo featuring over 40 species of animals, guided tours, day camps, and family activities. Enjoying nature is easy with numerous parks and natural green spaces throughout the city including Bower Ponds, a beautiful park that overlooks the Red Deer River. This parkland features a playground, natural amphitheater, paved trails, and several water activities including paddleboat, kayak, and canoe rentals. You can even walk on water with the newly added water balls! Red Deer is a welcoming city filled with countless attractions, beautiful scenery, and friendly people. Check out our rental apartments in Red Deer to find your new home today!